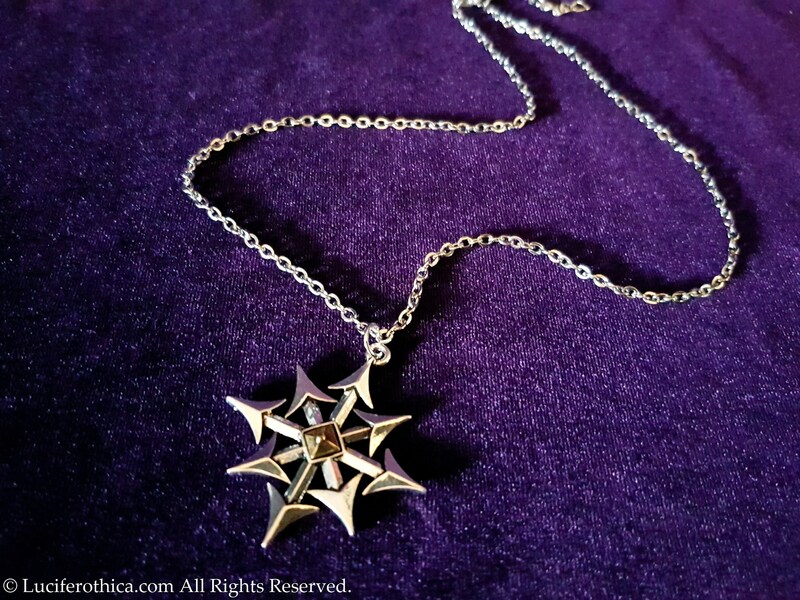 - 46cm long silver colour chain + 5cm extension chain to adjust to your size. 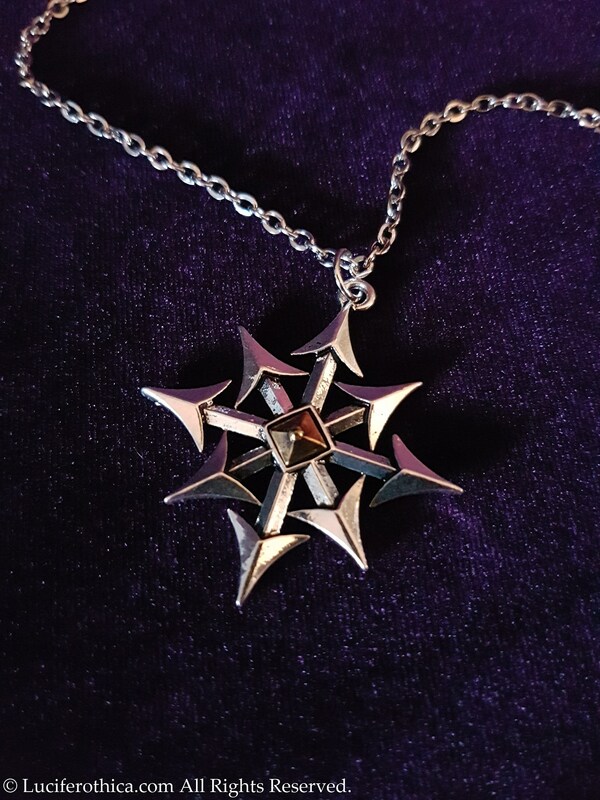 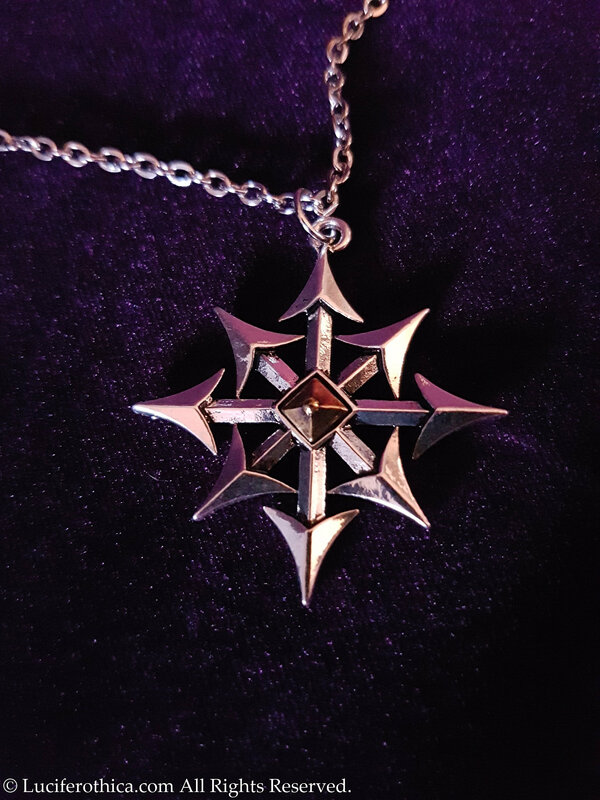 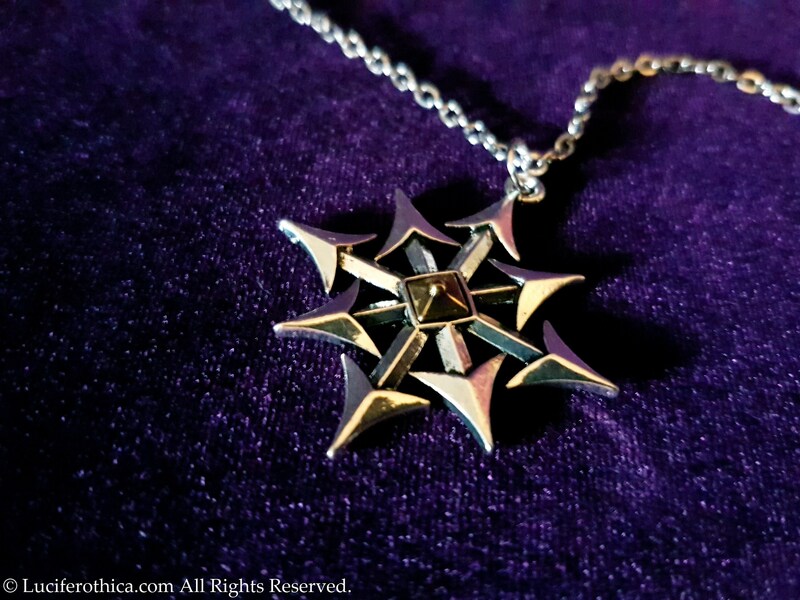 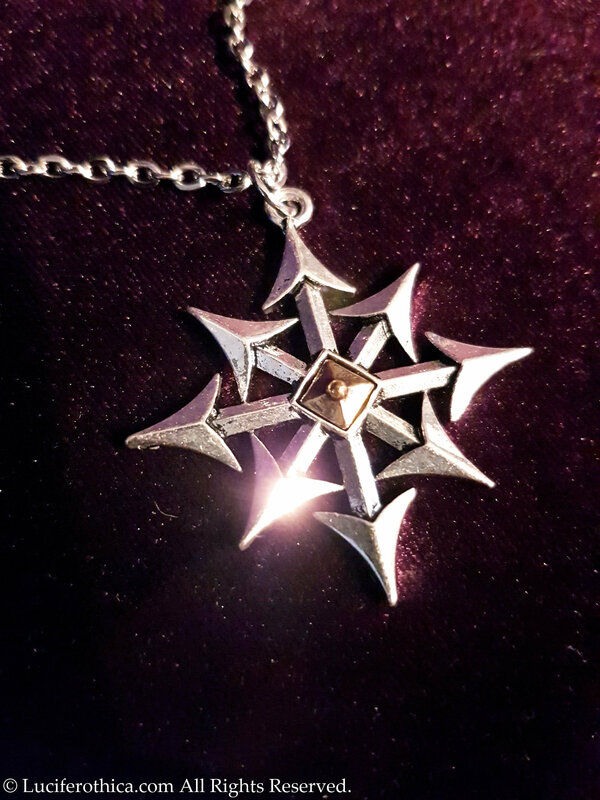 - Eight pointed chaos star. 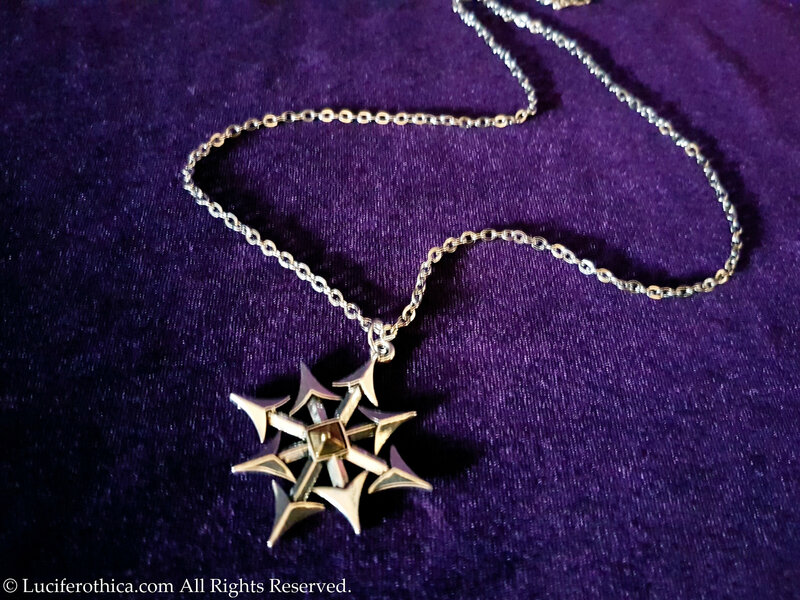 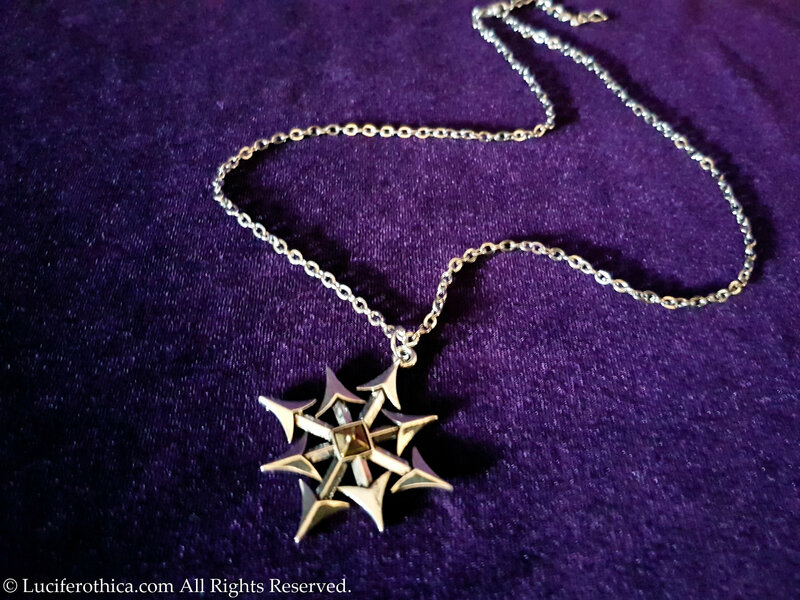 - Silver colour star with gold colour pyramid in the center. 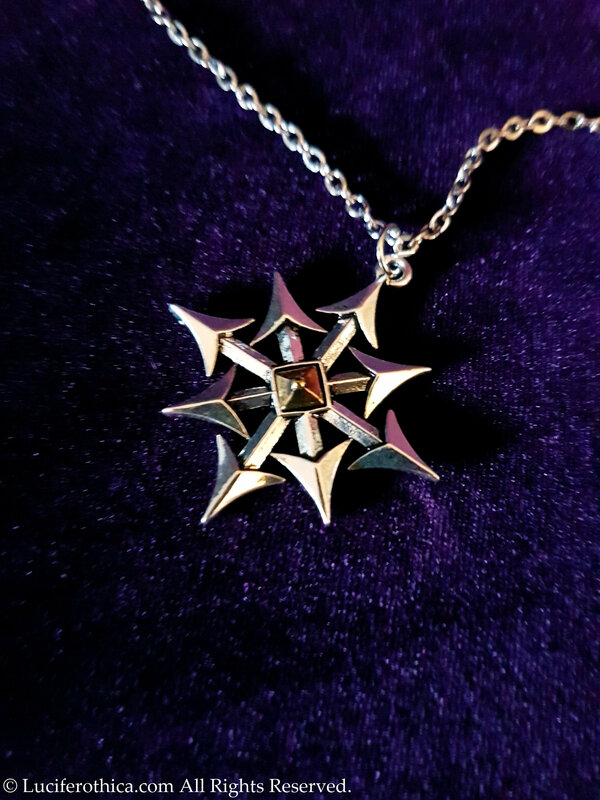 It is also called the Arms of Chaos, the Arrows of Chaos, the Chaos Star, the Chaos Cross, the Chaosphere (when depicted as a three-dimensional sphere), or the Symbol of Eight.